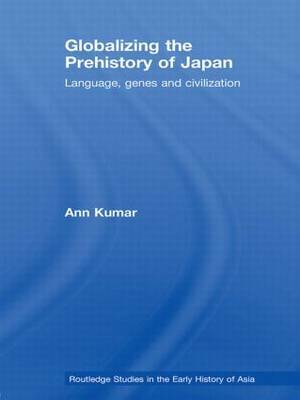 This iconoclastic work on the prehistory of Japan and of South East Asia challenges entrenched views on the origins of Japanese society and identity. The social changes that took place in Japan in the time-period when the Jomon culture was replaced by the Yayoi culture were of exceptional magnitude, going far beyond those of the so-called Neolithic Revolution in other parts of the world. They included not only a new way of life based on wet-rice agriculture but also the introduction of metalworking in both bronze and iron, and furthermore a new architecture functionally and ritually linked to rice cultivation, a new religion, and a hierarchical society characterized by a belief in the divinity of the ruler. Because of its immense and enduring impact the Yayoi period has generally been seen as the very foundation of Japanese civilization and identity. In contrast to the common assumption that all the Yayoi innovations came from China and Korea, this work combines exciting new scientific evidence from such different fields as rice genetics, DNA and historical linguistics to show that the major elements of Yayoi civilization actually came, not from the north, but from the south.